My asperger son is almost 16. He doesn't live with me. He's told me on numerous occasions that he's being physically abused. When I've reported it, they either accuse me of coaching him, or accuse him of lying, or of not being able to get him to focus enough to report the abuse. Years ago I did get one report of abuse substantiated, (because of bruises) however, nothing was done about it, and my son is still ignored. If someone could please help me to get help for my son, or just help my son, I would greatly appreciated it. I love him, and I want him to be safe and happy. He doesn't deserve abuse just because he isn't like other kids. 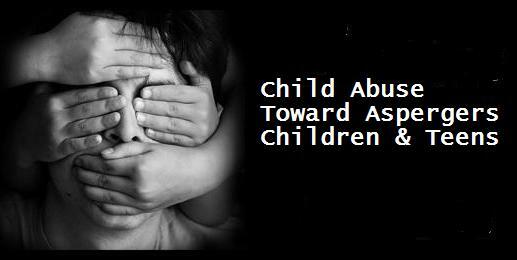 In the USA, an estimated 906,000 kids are victims of abuse & neglect every year, making abuse as common as it is shocking. Whether the abuse is physical, emotional, sexual, or neglect, the scars can be deep and long-lasting, often leading to future abuse. You can learn the signs and symptoms of abuse and help break the cycle, finding out where to get help for the kids and their caregivers. How could anyone abuse a defenseless child? Most of us can’t imagine what would make an adult abuse a child. The worse the behavior is, the more unimaginable it seems. Yet sadly, abuse is much more common than you might think. Abuse cuts across social classes and all ethnicities. And the abuse overwhelmingly is at the hands of those who are supposed to be protecting the child- the parents. Abuse happens in many different ways, but the result is the same- serious physical or emotional harm. Physical or sexual abuse may be the most striking types of abuse, since they often unfortunately leave physical evidence behind. However, emotional abuse and neglect are serious types of abuse that are often more subtle and difficult to spot. Child neglect is the most common type of abuse. Alcohol or drug abuse. Alcohol and drug abuse lead to serious lapses in judgment. They can interfere with impulse control making emotional and physical abuse more likely. Due to impairment caused by being intoxicated, alcohol and drug abuse frequently lead to child neglect. Domestic violence. Witnessing domestic violence in the home, as well as the chaos and instability that is the result, is emotional abuse to a child. Frequently domestic violence will escalate to physical violence against the child as well. History of abuse. Unfortunately, the patterns we learn in childhood are often what we use as parents. Without treatment and insight, sadly, the cycle of abuse often continues. Stress and lack of support. Parenting can be a very time intensive, difficult job. Moms and dads caring for kids without support from family, friends or the community can be under a lot of stress. Teen parents often struggle with the maturity and patience needed to be a parent. Caring for a child with a disability, special needs or difficult behaviors is also a challenge. Caregivers who are under financial or relationship stress are at risk as well. All types of abuse and neglect leave lasting scars. Some of these scars might be physical, but emotional scarring has long lasting effects throughout life, damaging a child’s sense of self and ability to have healthy relationships. One of the most painful effects of abuse is its tendency to repeat itself. One of every three abused or neglected kids will grow up to become an abusive parent. You may be reluctant to interfere in someone’s family, but you can make a huge difference in a child’s life if you do. The earlier abused kids get help, the greater chance they have to heal from their abuse and not perpetuate the cycle. Many physically abusive parents and caregivers insist that their actions are simply forms of discipline, ways to make kids learn to behave. But there’s a big difference between giving an unmanageable youngster a swat on the backside and twisting the child’s arm until it breaks. Physical abuse can include striking a youngster with the hand, fist, or foot or with an object, burning, shaking, pushing, or throwing a child; pinching or biting the child, pulling a youngster by the hair or cutting off a child’s air. Another form of abuse involving babies is shaken baby syndrome, in which a frustrated caregiver shakes a baby roughly to make the baby stop crying, causing brain damage that often leads to severe neurological problems and even death. Behavioral signs. Other times, signs of physical abuse may be more subtle. The youngster may be fearful, shy away from touch or appear to be afraid to go home. A child’s clothing may be inappropriate for the weather, such as heavy, long sleeved pants and shirts on hot days. Caregiver signs. Physically abusive caregivers may display anger management issues and excessive need for control. Their explanation of the injury might not ring true, or may be different from an older child’s description of the injury. Physical signs. Sometimes physical abuse has clear warning signs, such as unexplained bruises, welts, or cuts. While all kids will take a tumble now and then, look for age-inappropriate injuries, injuries that appear to have a pattern such as marks from a hand or belt, or a pattern of severe injuries. Physical punishment, the use of physical force with the intent of inflicting bodily pain, but not injury, for the purpose of correction or control, used to be a very common form of discipline. Most of us know it as spanking or paddling. Many of us may feel we were spanked as kids without damage to body or psyche. The widespread use of physical punishment, however, doesn’t necessarily make it a good idea. 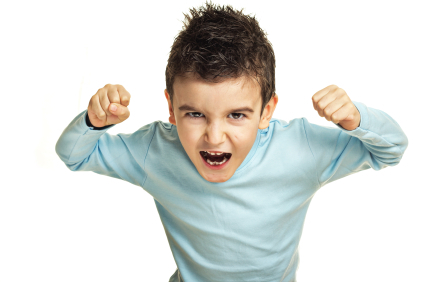 The level of force used by an angry or frustrated parent can easily get out of hand and lead to injury. Even if it doesn’t, what a youngster learns from being hit as punishment is less about why conduct is right or wrong than about behaving well — or hiding bad behavior — out of fear of being hit. “Sticks and stones may break my bones but words will never hurt me”. This old saying could not be farther from the truth. Emotional abuse may seem invisible. However, because emotional abuse involves behavior that interferes with a child’s mental health or social development, the effects can be extremely damaging and may even leave deeper lifelong psychological scars than physical abuse. Emotional abuse takes many forms, in words and in actions. Words. Examples of how words can hurt include constant belittling, shaming, and humiliating a child, calling names and making negative comparisons to others, or constantly telling a youngster he or she is “no good," "worthless," "bad," or "a mistake." How the words are spoken can be terrifying to a youngster as well, such as yelling, threatening, or bullying. Actions. Basic food and shelter may be provided, but withholding love and affection can have devastating effects on a child. Examples include ignoring or rejecting a child, giving him or her the silent treatment. Another strong component of emotional abuse is exposing the youngster to inappropriate situations or behavior. Especially damaging is witnessing acts that cause a feeling of helplessness and horror, such as in domestic violence or watching another sibling or pet be abused. Behavioral signs. Since emotional abuse does not leave concrete marks, the effects may be harder to detect. Is the youngster excessively shy, fearful or afraid of doing something wrong? Behavioral extremes may also be a clue. A youngster may be constantly trying to parent other kids for example, or on the opposite side exhibit antisocial behavior such as uncontrolled aggression. Look for inappropriate age behaviors as well, such as an older youngster exhibiting behaviors more commonly found in younger kids. Caregiver signs. Does a caregiver seem unusually harsh and critical of a child, belittling and shaming him or her in front of others? Has the caregiver shown anger or issues with control in other areas? A caregiver may also seem strangely unconcerned with a child’s welfare or performance. Keep in mind that there might not be immediate caregiver signs. Tragically, many emotionally abusive caregivers can present a kind outside face to the world, making the abuse of the youngster all the more confusing and scary. Sexual abuse, defined as any sexual act between an adult and a child, has components of both physical and emotional abuse. Sexual abuse can be physical, such as inappropriate fondling, touching and actual sexual penetration. It can also be emotionally abusive, as in cases where a youngster is forced to undress or exposing a youngster to adult sexuality. Aside from the physical damage that sexual abuse can cause, the emotional component is powerful and far reaching. The layer of shame that accompanies sexual abuse makes the behavior doubly traumatizing. While news stories of sexual predators are scary, what is even more frightening is that the adult who sexually abuses a youngster or adolescent is usually someone the youngster knows and is supposed to trust: a relative, childcare provider, family friend, neighbor, teacher, coach, or clergy member. Kids may worry that others won’t believe them and will be angry with them if they tell. They may believe that the abuse is their fault, and the shame is devastating and can cause lifelong effects. Behavioral signs. Does the youngster display knowledge or interest in sexual acts inappropriate to his or her age, or even seductive behavior? A youngster might appear to avoid another person, or display unusual behavior- either being very aggressive or very passive. Older kids might resort to destructive behaviors to take away the pain, such as alcohol or drug abuse, self-mutilation, or suicide attempts. Caregiver signs. The caregiver may seem to be unusually controlling and protective of the child, limiting contact with other kids and adults. Again, as with other types of abuse, sometimes the caregiver does not give outward signs of concern. This does not mean the youngster is lying or exaggerating. Physical signs. A youngster may have trouble sitting or standing, or have stained, bloody or torn underclothes. Swelling, bruises, or bleeding in the genital area is a red flag. An STD or pregnancy, especially under the age of 14, is a strong cause of concern. Your youngster becomes withdrawn from the family. Your youngster receives phone calls or mail from people you don't know, or makes calls to numbers that you don’t recognize. Your youngster spends large amounts of time online, especially at night, and may turn the computer monitor off or quickly change the screen on the monitor when you come into the room. Child neglect is the most frequent form of abuse. Neglect is a pattern of failing to provide for a child's basic needs, endangering a child’s physical and psychological well-being. Child neglect is not always deliberate. Sometimes, a caregiver becomes physically or mentally unable to care for a child, such as in untreated depression or anxiety. Other times, alcohol or drug abuse may seriously impair judgment and the ability to keep a youngster safe. The end result, however, is a youngster who is not getting their physical and/or emotional needs met. Behavioral signs. Does the youngster seem to be unsupervised? School kids may be frequently late or tardy. The youngster might show troublesome, disruptive behavior or be withdrawn and passive. Caregiver signs. Does the caregiver have problems with drugs or alcohol? While most of us have a little clutter in the home, is the caregiver’s home filthy and unsanitary? Is there adequate food in the house? A caregiver might also show reckless disregard for the child’s safety, letting older kids play unsupervised or leaving a baby unattended. A caregiver might refuse or delay necessary health care for the child. Physical signs. A youngster may consistently be dressed inappropriately for the weather, or have ill-fitting, dirty clothes and shoes. They might appear to have consistently bad hygiene, like appearing very dirty, matted and unwashed hair, or noticeable body odor. Another warning sign is untreated illnesses and physical injuries. You may feel overwhelmed and confused if a youngster begins talking to you about abuse. It is a difficult subject and hard to accept, and you might not know what to say. The best help you can provide is calm, unconditional support and reassurance. Let your actions speak for you if you are having trouble finding the words. Remember that it is a tremendous act of courage for kids to come forward about abuse. They might have been told specifically not to tell, and may even feel that the abuse is normal. They might feel they are to blame for the abuse. The youngster is looking to you to provide support and help- don’t let him or her down. Avoid denial and remain calm. A common reaction to news as unpleasant and shocking as abuse is denial. However, if you display denial to a child, or show shock or disgust at what they are saying, the youngster may be afraid to continue and will shut down. As hard as it may be, remain as calm and reassuring as you can. Don’t interrogate. Let the youngster explain to you in his/her own words what happened, but don’t interrogate the youngster or ask leading questions. This may confuse and fluster the youngster and make it harder for them to continue their story. Reassure the youngster that they did nothing wrong. It takes a lot for a youngster to come forward about abuse. Reassure him or her that you take what is said seriously, and that it is not the child’s fault. Reporting abuse seems so official. Many people are reluctant to get involved in other families’ lives. However, by reporting, you can make a tremendous difference in the life of a youngster and the child’s family, especially if you help stop the abuse early. Early identification and treatment can help mitigate the long-term effects of abuse. If the abuse is stopped and the youngster receives competent treatment, the abused youngster can begin to regain a sense of self-confidence and trust. Some moms and dads may also benefit from support, parent training and anger management. I don’t want to interfere in someone else’s family. The effects of abuse are life long, affecting future relationships, self esteem, and sadly putting even more kids at risk of abuse as the cycle continues. Help break the cycle of abuse. It won’t make a difference what I have to say. If you have a gut feeling that something is wrong, it is better to be safe than sorry. Even if you don’t see the whole picture, others may have noticed as well, and a pattern can help identify abuse that might have otherwise slipped through the cracks. They will know it was me who called. Reporting is anonymous. In most states, you do not have to give your name when you report abuse. The abuser cannot find out who made the report of abuse. What if I break up someone’s home? The priority in youngster protective services is keeping kids in the home. A abuse report does not mean a youngster is automatically removed from the home - unless the youngster is clearly in danger. Support such as parenting classes, anger management or other resources may be offered first to parents if safe for the child. If you suspect a youngster is in immediate danger contact law enforcement as soon as possible. Reducing the incidence of abuse is a matter of intervention and education. Alcohol and drug abuse. Alcohol and drug abusers may be so focused on their addiction that they are hurting their kids without realizing it. Getting appropriate help and support for alcohol and drug abuse can help moms and dads focus back on their kids. Domestic violence. A mother might be trying to do her best to protect her kids from an abusive husband, not realizing that the kids are being emotionally abused even if they are not physically abused. Helping a mother leave an abusive relationship and getting supportive counseling can help stop these kids from being abused. Untreated mental illness. A depressed mother might not be able to respond to her own needs much less her kid’s. A caregiver suffering from emotional trauma may be distant and withdrawn from her kids, or quick to anger without understanding why. Treatment for the caregiver means better care for the kids. In some cases, you might be able to provide support for parents/caregivers who need help yourself. What if a parent or caregiver comes to you? The key is not to be self-righteous or judgmental, which can alienate caregivers, but offer support and concrete offers of help, such as helping them connect with community resources. If you feel that your safety or the safety of the youngster would be threatened if you try to intervene, leave it to the professionals. You may be able to provide more support later after the initial professional intervention. Some caregivers have not learned the skills necessary for good parenting. Teen parents, for example, might have unrealistic expectations about how much care babies need or why toddlers can be so prone to tantrums. Other times, previous societal and cultural expectations of good child raising may not be considered so today. In previous generations and in many cultures, for example, strict physical discipline was considered to be essential in teaching a youngster to behave. Education can greatly help caregivers who need information on raising kids. Parenting classes can not only be effective for teen parents, but for parents who themselves were abused and need to learn new parenting patterns. Education on managing stress and building healthier relationships also helps caregivers. Kids need education as well to help protect against abuse. They need to know that abuse is never their fault and is never “OK”. Teaching a youngster about inappropriate touch and that they should never keep secrets that make them uncomfortable can help prevent sexual abuse. Do you see yourself in some of these descriptions, painful as it may be? Do you feel angry and frustrated and don’t know where to turn? Caring for kids can be very difficult. Don’t go it alone. Ask for help if you need it. If you don’t have a friend or family to turn to, call the abuse hotline, 1-800-4-A-CHILD, yourself. The hotline is also designed to get you support and find resources in the community that can help you. Kids with Aspergers Need Routine and Clarity! Aspergers (high functioning autism) disrupts a youngster’s ability to recognize social cues, thereby causing social awkwardness. Other characteristics of autism may also be present, such as a lowered tolerance for new situations or sudden transitions, lack of organizational skills, inconsistent energy levels, and high distractibility. All of these can present challenges when attempting to complete homework. 1. Does she fatigue quickly? 2. Is she easily distracted by noise or activity? 3. What frustrates or upsets her? 4. What is her best time of day? After observing the youngster for a few days, establish a consistent time for homework, preferably when she is well fed and at her best. The amount of time she spends on homework nightly will vary by grade level. When homework length begins to increase, she may stay more focused with short breaks. Incorporate these into the schedule and make sure she has enough time to complete assignments without rushing. It is beneficial to have a special homework location away from the TV, radio, or other distractions. Kids with Aspergers can also be frustrated by clutter, so make sure that the workspace is organized and that all necessary materials for homework are available and easy to find. Some homework assignments can be overwhelming for kids with Aspergers. Moms and dads will sometimes need to work closely with their youngster to help her get started. Providing one or two examples may be all that is required in some instances. For more complicated work, moms and dads may want to demonstrate how to break it down into smaller steps. This added attention may be needed for each unfamiliar assignment. Sometimes assignments may be unclear, even to moms and dads. If this happens often, it would be best for moms and dads to communicate with the teacher about their youngster’s needs. Receiving more detailed instructions for upcoming assignments will go a long way to ensuring that homework gets done correctly and without tantrums. The key is to get the information ahead of time so that the youngster with Aspergers can be prepared, not surprised with an unknown. A unique quality of kids with Aspergers is that they can develop abnormally intense interests in one or two subjects. Common ones may include weather, sports statistics, or computers. Using a little ingenuity, moms and dads can persuade the youngster to do seemingly unrelated work by integrating her interests. Kids fascinated by computers may be encouraged to complete writing assignments using an online dictionary, for instance. Kids who have nightly reading requirements could be allowed to choose books that are related to weather, dinosaurs, or other science topics of interest. If the youngster seems to dislike math, create word problems for practicing addition, subtraction, and multiplication using subjects such as baseball or cars. Kids with Aspergers possess unique skills and can grow to be highly productive, thriving members of society. But, like everyone, they face their own set of challenges along the way. Homework may be one of those challenges. With careful planning however, moms and dads can make this necessary and important chore less worrisome and help to pave their youngster’s way to success. L-Carnosine, a dipeptide, can enhance frontal lobe function or be neuroprotective. It can also correlate with gamma-aminobutyric acid (GABA)-homocarnosine interaction, with possible anticonvulsive effects. We investigated 31 kids with autistic spectrum disorders in an 8-week, double-blinded study to determine if 800 mg L-carnosine daily would result in observable changes versus placebo. Outcome measures were the Childhood Autism Rating Scale, the Gilliam Autism Rating Scale, the Expressive and Receptive One-Word Picture Vocabulary tests, and Clinical Global Impressions of Change. Kids on placebo did not show statistically significant changes. After 8 weeks on L-carnosine, kids showed statistically significant improvements on the Gilliam Autism Rating Scale (total score and the Behavior, Socialization, and Communication subscales) and the Receptive One-Word Picture Vocabulary test (all P < .05). Improved trends were noted on other outcome measures. Although the mechanism of action of L-carnosine is not well understood, it may enhance neurologic function, perhaps in the enterorhinal or temporal cortex. L-Carnosine is a naturally occurring dipeptide that consists of alanine and histadine. Where was L-Carnosine developed and how is it currently being used? L-Carnosine was developed by a leading U.S. Pediatric Neurologist, and was first utilized in his practice. Found to be beneficial to kids diagnosed with Autism Spectrum Disorders, Asperger's Syndrome, PDD, ADD, ADHD, Apraxia and Epilepsy, the use of L-Carnosine has steadily grown, and is now benefiting kids throughout the United States as well as other countries. Is there clinical data indicating that L-Carnosine is effective? What benefits should parents expect from L-CARNOSINE in autism spectrum disorders? Although not a cure, L-CARNOSINE may improve receptive language, auditory processing, socialization, awareness of surroundings, and even help fine motor planning and expressive language when compared to placebo. Improvements are usually seen between 1-8 weeks of starting on L-Carnosine. How can L-CARNOSINE help with epilepsy? The exact mechanism is unknown, but in open label studies and clinical experiences, L-CARNOSINE has improved some EEG abnormalities and frequency of myoclonic and generalized seizures. L-CARNOSINE has also helped cognitive development in severe epileptics even when EEG or seizure frequency was unchanged. Remember that L-CARNOSINE is only a dietary supplement and not a drug used to treat epilepsy. What if my youngster is Diabetic? L-Carnosine is designed to be tolerated by Diabetics, and is compatible with the Ketogenic diet and gluten-casein free diets. It is recommended that you consult with your youngster's physician prior to administering L-Carnosine. What if my youngster has allergies, sensitivities to certain foods or has been instructed by a physician to avoid specific ingredients? L-Carnosine contains no yeast, wheat gluten, milk/dairy products, corn, sodium, sugar, starch, artificial coloring, preservatives, flavoring or carbohydrates. Does L-Carnosine require a medical prescription? L-Carnosine does not require a prescription; however, it is recommended that you consult with your youngster's physician prior to administering this or any dietary supplement. What is the recommended dosage for the intake of L-Carnosine? As a dietary supplement, take 1-2 capsules daily or as directed by a physician. Clinical research in autism spectrum disorders shows that 2 capsules twice daily is an effective dosage. Always consult a knowledgeable physician when using a dietary supplement. Is L-Carnosine palatable for kids? L-Carnosine is tasteless and odorless. If preferred, L-Carnosine capsules may be opened and their contents mixed directly into foods and beverages. However, do not mix into very high temperature foods. For example, you can mix the L-CARNOSINE into scrambled eggs once they have cooled off, but do not mix into the eggs while still cooking. Does L-CARNOSINE have to be given with food? L-CARNOSINE can be given with or without food. What are the most common side effects of L-CARNOSINE? No reports of harmful physical side effects from L-CARNOSINE have been received to date. Background research of prior animal and human experience, plus in over 1000 kids on L-Carnosine since June of 2001, have not shown any adverse liver, blood, kidney, or central nervous system side effects. Behaviorally, too high a dose may over stimulate some patients' frontal lobes which can cause increased irritability, hyperactivity, or insomnia. This has been noted in already manic or hyperactive autistic patients. What about using L-CARNOSINE with other dietary supplements or drugs? Supplements: To our knowledge, no other dietary supplements have been studied in a double-blind placebo-controlled manner. Fish Oil, High dose B6, Magnesium, or probiotic or mega vitamin therapies are all unproven. Some high dose vitamins may make kids hyperactive, which may confuse parents if L-CARNOSINE is added. Drugs: L-CARNOSINE does not appear to alter valproic acid levels. We have not had reports of adverse effects with stimulants, anti-psychotic or SSRI medications. Acetyl-choline esterase inhibitors may over stimulate in combination with L-CARNOSINE, but no physically adverse interactions have been reported. Acetaminophen, Ibuprofen, and antibiotics are not contra indicated to the best of our knowledge. Diets: L-CARNOSINE is designed to be tolerated by Diabetics, and is compatible with the ketogenic diet and gluten-casein free diets. How long does L-CARNOSINE last? No pharmacokinetic studies have been done to date to determine the half-life of L-Carnosine. Should usage be interrupted or discontinued during school holidays, vacations, or periodically during the year? No, it is not necessary nor do we recommend interrupting or discontinuing the usage of L-Carnosine during school vacations, holidays or periodically unless recommended by a physician. Where can I find the right medication to help his Asperger’s, not cure it? Asperger’s Syndrome (high-functioning autism) is not something with a cure. There are no medications that can make Asperger’s go away. Many children with Asperger’s benefit from social skills training and cognitive behavioral therapy. In addition, many children can benefit from medications for symptoms related to the syndrome. 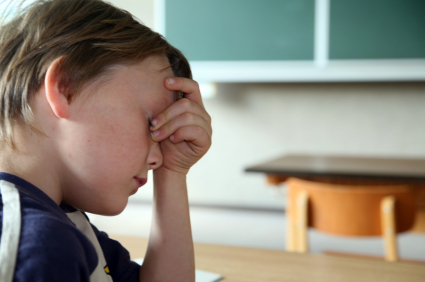 Many children with Asperger’s suffer from anxiety or depression. Some suffer from hyper-activity or attention deficit disorder. Some children with Asperger’s suffer from obsessive-compulsive disorder. Medications designed to alleviate those symptoms are available for children with Asperger’s. Working with your doctor to understand the symptoms your child suffers from is the first step. Once those symptoms are understood, it is important to then talk with your doctor about which medications might be available to treat those symptoms in your child. A variety of medications are often available for some of the symptoms of Asperger’s syndrome. For example, many different drugs are available for ADD. If your child suffers from ADD, your doctor will decide which medication and what dose is right for your child. Your child will need to try the medication to see how it affects him. During that trial period, you’ll need to watch your child carefully to see how he reacts. If he reacts well and tolerates the medicine, and the medicine alleviates the symptoms, your child will continue on with the medication. If your child tries a medicine and suffers from side affects or if the medicine doesn’t help alleviate the symptoms, you’ll need to consult the doctor about changing the medication. This process could be a long one. It is not unheard of to try three or four different medications and dosages to find the medication that is right for your child. Be sure that you understand the benefits and the possible drawbacks and side affects of any medications you give your child. Also, try to understand how the medicine can work in concert with behavioral therapy in helping your child manage the symptoms of Asperger’s. Be sure to tell the doctor about any herbal medicines or other supplements your child might be taking. Supplements can often have harmful interactions with medicines, or they can render the medicines ineffective.